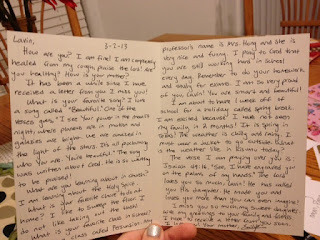 One of my goals for 2013 was to write a letter each month to my sponsored daughter, Lavin. I sponsor her through Christian Relief Fund. Receiving letters is a huge deal to these kids. They are so grateful to the sponsors who reach out and support them, and having the opportunity to communicate one-on-one with the people who have literally saved their lives is a huge honor and blessing. When I was in Kenya, I had the opportunity to pass out letters to some of the sponsored kids at a CRF school. Shrieks of joy echoed across the schoolyard as letters and photographs and stickers were passed around. Soon after, the children raced to find sheets of paper and pencils so they could write letters back to their "adopted" parents. Even knowing the importance of our letters to these sponsored kids, I didn't write nearly enough to my sponsored daughter last year. She wrote me more often than I wrote her. In 2013, this will change. For March, I found an old, blank card in my grandma's house. 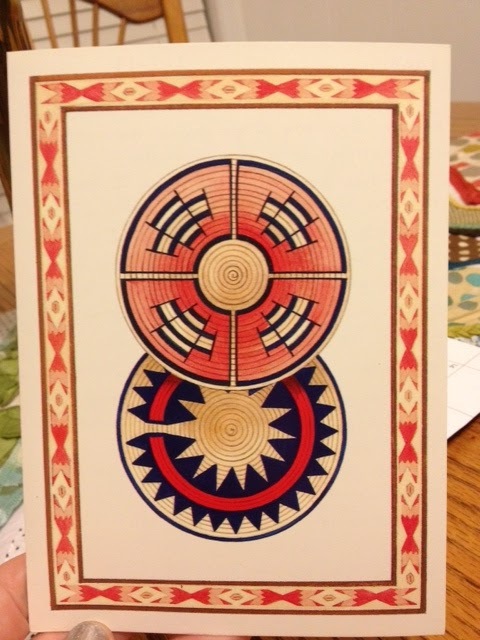 It had a printing of Navajo designs, and my grandma allowed me to take the card and send it to Lavin. Tribes are a big deal in Kenya, so I thought I would give a little American history and share about how there are American tribes too. 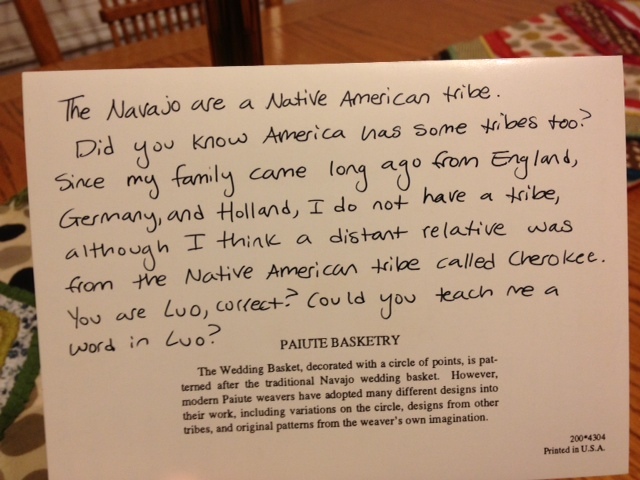 On the back of the card, I shared a bit of information. Music and one of my favorite songs. Since the orphans in Kenya aren't going to know the American artists I listen to, I didn't use their names. I simply shared a few lyrics I thought Lavin would understand. Whenever I go back to Kenya, perhaps I'll teach her the song! My favorite and least favorite chores (and skipped chores that Lavin might not understand, such as vacuuming or cleaning the bathroom). School, so Lavin could both relate to my life and be encouraged to continue to work hard in her classes. It's so important to emphasize the value of education to your sponsored child! Weather. As mundane as that might sound, it's an entirely different season right now in Kenya, so the children are fascinated about what the weather is like in Texas. A Bible verse that has been on my heart for Lavin. An update on the prayer requests I gave her the last two months and let her know that her prayers were answered. God is good! And of course, I was sure to tell Lavin that I loved her, was proud of her, and that I missed her. She may not hear those words from anyone else in her life. 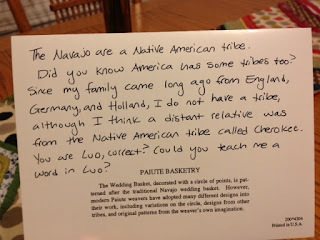 Hopefully that gave you a few ideas of conversation topics in your letter to your sponsored child. Don't be afraid to ask questions and share little stories about your day-to-day life, as long as they can be understood by a child who lives a very different life than you. I didn't go too crazy on my additions to the letter this month. Five pictures, with names and descriptions of what I was doing at the time the photos were taken and who I was with. Lavin loves receiving pictures. They help her feel close to me and a part of my life. 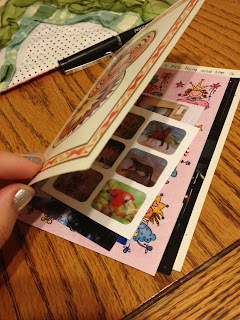 Two sticker sheets. One sheet was filled with little doodles of princesses of all colors. The other was hologram animals, like a horse and a parrot and a lion. Notice how everything fit neatly inside the envelope. It definitely wasn't too heavy or bulky to send. 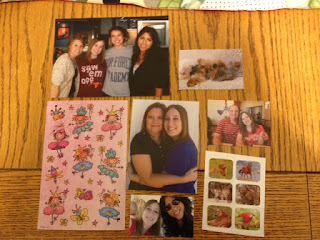 However, when Lavin opens her card, she'll be delighted by all of the little surprises inside waiting for her. 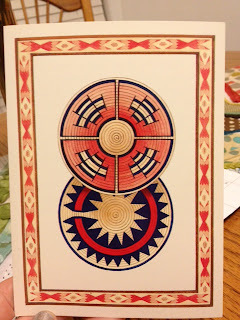 Did you send a card to your sponsored child this month? If you did and want to blog about it, post the link in the comments below and I'll share it at the bottom of this blog.